Being faced with the passing of a loved one is daunting, overwhelming and can shake the foundation of one’s life. While probate might be right for most, in many cases probate proceedings are completely unnecessary. Either way, we can point you in the right direction and help you reduce the overwhelming challenges you might be facing in your life. 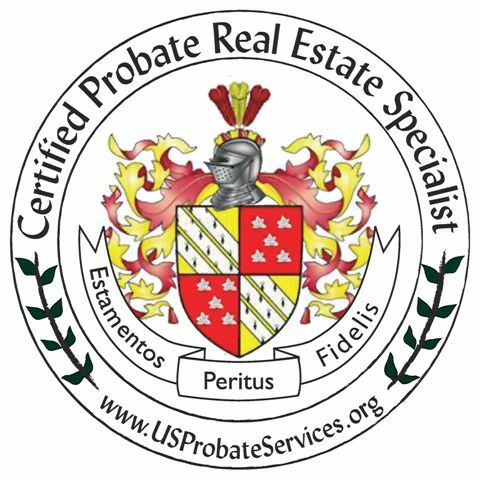 Whether you are the executor of an estate, or a buyer looking to purchase a property subject to probate, you need the services of a Certified Probate Real Estate Specialist (CPRES). This coveted certification is only granted to real estate professionals who have completed an intensive course of study, and already have experience of handling probate transactions. Martine Lusby, one of the Broker/Owners of Morningstar Realty®, handled her first probate transaction in 2003, and has continued to help families with their probate needs ever since. She received this prestigious certification in 2017. Every agent in our brokerage working under our license can call upon Martine's broad expertise in this field. Please note that, while we will guide you through the jungle of probate rules and regulations as they affect the sale or purchase of real estate that is subject to probate, we will not give you any legal advice. For legal advice you must contact a licensed legal professional, preferably one specialised in California probate law.